Reconnective Healing is a new level of healing that, according to scientific research, may very well be here on the planet for the first time. It is bringing us levels of energy that haven’t been seen here before, and it is further expanding beyond energy into a spectrum of light and information. Energy is everything we are made up of organically, our very essence and our actual physical body. Light is the resonance and communication within these frequencies between the universe and us. Information comes through the very interaction and entrainment with the energy and the light. It’s tangible, measurable… you can actually feel it. Reconnective Healing facilitates a return to an optimal state of emotional and physical balance and vitality. Our inbalances seem to vibrate out of our system. It is the result of interacting with the fully comprehensive Reconnective Healing spectrum of frequencies. Reconnective Healing gives you acces to an inner awareness with a vibrational resonance that promotes strength, brainpower, wisdom, emotional stability and physical vitality. When you access this spectrum of energy, light and information, it creates a chain of events that can greatly enhance and improve all aspects of your life: health, career, relationships, abundance – seemingly unreachable potential becomes reality. Reconnective Healing is a bridge between the perceived limitations we have come to accept in our lives and how life can be when we tap into our actual potential. While science continues to explore how it works, Reconnective Healing has been confirmed and documented in more than a dozen international studies. When Reconnective Healing Frequencies entrain with our energy body we emit and vibrate at a higher level of light. This has been shown to restructure our DNA, resulting in the emission of measurably higher levels of bio-photonic light. Stanford Professor Emeritus Dr. William Tiller says that when information carried through the Reconnective Healing Frequencies is introduced, it creates coherence and order – in other words, greater harmony and balance within us. Read more about the scientific research on the website of The Reconnection (here) and in this document Science_and_The_Reconnection. What is the difference with other forms of energy work? 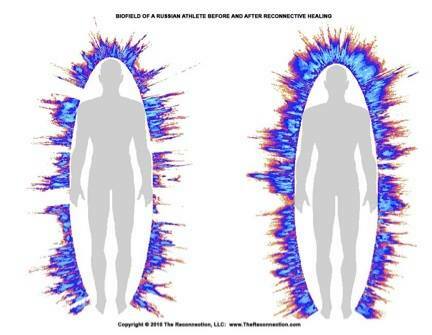 According to what we can best determine from the scientific research so far, the RH frequency spectrum appears to contain or include all of the known healing frequencies existing to date plus much, much more not seen here before. Reconnective Healing transcends traditional energy healing techniques as it allows us to let go of the concept and approach of technique itself. It is neither a therapy nor a treatment, as it does not focus on diagnosing or treating symptoms. By simply interacting with the Reconnective Healing Frequencies, it can bring about healings that are often instantaneous and tend to be lifelong. This is the main reason that you don’t need to come back for multiple sessions as are often required with other therapies, as true healing often happens instantaneously, taking no longer than a snap of the fingers, or a moment of connection. It is suggested that you receive between one and three sessions. Then let go and allow the healing to continue to transform. In 2011 I received my first three Reconnective Healings in The Netherlands. They were so intense and profound that I decided to do the seminar in June 2011 in Amsterdam. That is when I became a Reconnective Healing Practitioner. In September 2015 I did the ‘renewal’ in Los Angeles to become a Reconnective Healing Foundational Practitioner. I wasn’t required to take Level 1 again, but I decided to do Level 1 and 2 again, and so immersed myself into these wonderful frequencies for four days. 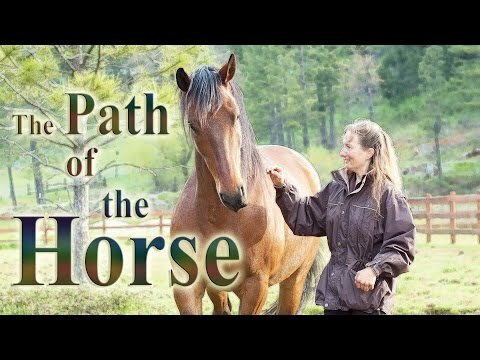 This experience gave me even more insight in what Reconnective Healing is and does. Read more about a session here. **Note: A Reconnective Healing Practitioner does not diagnose or treat specific health challenges. A Reconnective Healing session does not provide medical advice, diagnosis, treatment or cure for any medical condition, disease or illness. You are solely responsible for seeing to and continuing with your own medical treatment and care. Please understand that you should never disregard professional medical advice nor delay in seeking it. Reconnective Healing is not intended to replace the services of a trained health care professional or be a substitute for medical advice of physicians. It is recommended that you consult a physician in all matters relating to your health, particularly with respect to any symptoms that may require diagnosis or medical attention.